What does it take to be a successful Entrepreneur? Even deeper than that – How many can actually take an idea and execute it to fruition and sustainability? This has always sparked curiosity within Jolene Stillinger since she was 19 years old – when she discovered her first online membership platform. She was so intrigued that she decided to study how they functioned, drove traffic and profited. After many years of experience, mistakes, successes and fails, Jolene began consulting entrepreneurs and has assisted in launching numerous brands for nearly a decade. She is also the founder and digital advertising strategist at FEEDFOXX. 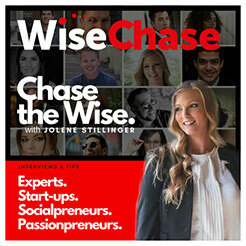 With a passion in helping others succeed, she created WiseChase TV to share tips & tools for business and celebrate incredible ‘doers’ and up-and-comers, while also discussing the battle between health and balance while pursuing a dream. Pssst! 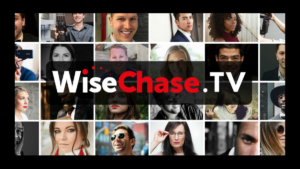 Want to write or submit a video for WiseChase TV? Let us know!